Trusted by over 4 million people! We believe that trust starts with transparency. Trust ProProfs is an endeavor to provide real time performance as well as historic data on our system performance and uptime. We take our responsibility of providing high quality service very seriously and provide a never before transparency into our system performance - a unique & perhaps the only of its kind in our industry. You can easily check our system performance in real-time as well as view the historic information consisting of full monthly performance reports. 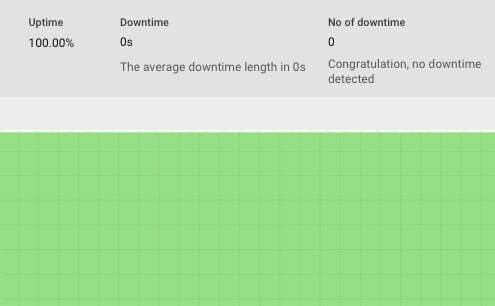 View uptime report, we strive for near 100%. View our fast response time. View response time by country. Our top most priority is the safety and security of our customer's data and we run high-end servers, protected by advanced security software, striving for full data backup to our customers. Data centers are located at Dallas & Washington DC, USA. Servers are hosted with an IBM company - SoftLayer. Daily local & remote backup included in all plans. State-of-the-art computer servers, with dedicated generators & battery. backup. 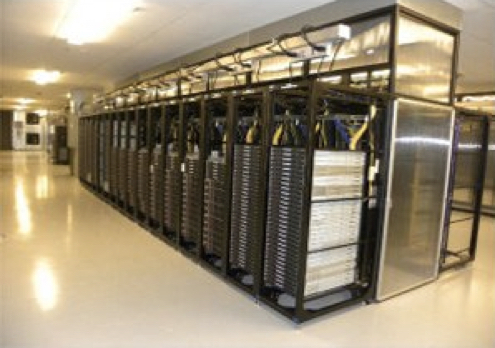 Servers hosted at a secure location, with multiple power feeds & fiber links. Regular maintenance updates for software and infrastructure. With ProProfs, there are multiple layers of data security in place, first is the CloudFlare CDN, which provides web security against external exploits and attacks. Behind the CDN is our network of dedicated servers, which are securely hosted with IBM company - SoftLayer. Network is further protected by an enterprise-class firewall that can block attacks like SQL injection, cross scripting and comment spam before they occur. 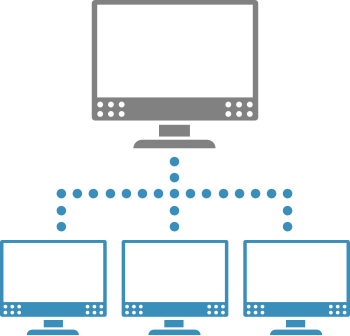 Data protection via anomalies, malware and safe-browsing detection, using logs and event triggers, to automatically block and filter out rouge IPs. Data sanitization is performed at code level, with user authentication and authorization done using Secure Sockets Layer (SSL) protocol. HTTP header analysis for threat signatures. Third-party check through CDN for reputation analysis of every request. Our CDN provider CloudFlare shares information across its network to block attacks before they occur. We also audit using third-party services such as TinFoil Security that scans for different classes of vulnerabilities including, but not limited to, OASP Top 10 Web Application Security Risks and other known security holes. 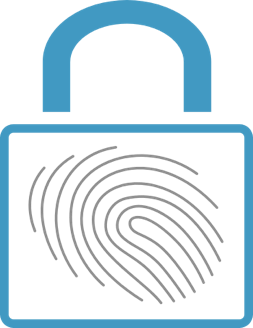 With ProProfs, you get access control over your data, with security options such as password protection, granting or revoking user access, and a lot more for protecting your quizzes, surveys and courses. Since almost all of our reports are exportable and downloadable to CSV and Excel files, you can also export most of your data to other systems such as learning management system, CRM, HRIS etc. Download, print or delete your data at anytime. Download your data to CSV or as Excel spreadsheets. Use our API to export data into your company's database. ProProfs is trusted by more than 4 million people who use our tools for business, educational, and personal needs. The site hosts more than 1,000,000 pages of content in 70+ languages and is home to the world's largest library of professional tests & quizzes. We support more than 10 million learners and 10 million quiz takers, and we have more than 100,000 quizzes and tests on our platform. 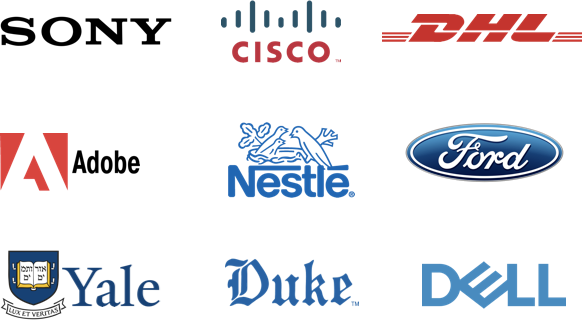 Our products are used by major organizations including Sony, Dell, Cisco, and Accenture. We are driven to create delightfully smart tools with awesome support that helps you work better, get smarter employees and happier customers. The Best Technology for Test Construction! ProProfs.com is the best technology for test construction. I have worked with 6 other web sites and there is no comparison. Please keep up the excellent work! Easy to Test Several 100 Global Employees! ProProfs does what it advertises. It was painless to generate and execute an exam to several 100 global employees. Training Maker is now a staple for students of all my Graduate Education courses. All my students will become better instructors with this assessment tool. Everyone should give it a try. Automatic Grading Saves Time & Makes My Business Easier! Hands Down the Easiest, Most Efficient Program I Have Ever Used!